This definitive retrospective of Friends incorporates interviews, history and behind-the-scenes anecdotes to offer a critical analysis of how a sitcom about six twentysomethings changed television forever. When Friends debuted in 1994, no one expected it to become a mainstay of NBC's ‘Must See TV' lineup, let alone a global phenomenon. In the years since, Friends has gone through many phases of cultural relevancy, from prime-time hit to '90s novelty item to certified classic. Ross, Rachel, Monica, Chandler, Joey and Phoebe have entered the pantheon of great television characters, and millions of people around the globe continue to tune in or stream their stories every day. 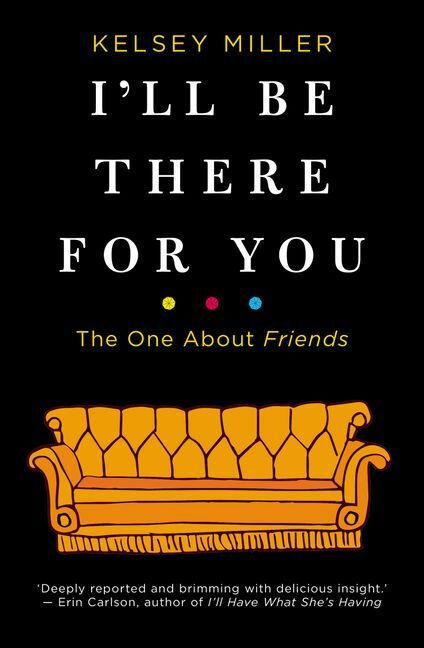 I'll Be There for You explores all aspects of the show from its unlikely origins to the elusive reasons why we still watch it. Journalist and pop culture expert Kelsey Miller relives the show's most iconic moments, analyses the ways in which Friends is occasionally problematic and examines the many trends it inspired, from the rise of coffee-shop culture to ‘Friendsgivings' to the ultimate '90s haircut, The Rachel. 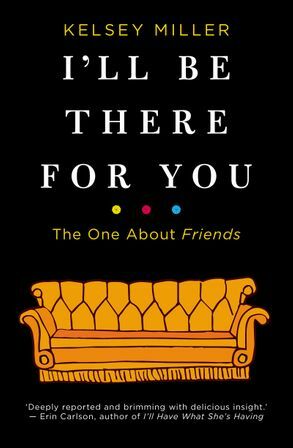 Weaving incisive commentary, revelatory interviews and behind-the-scenes anecdotes involving high-profile guest stars, I'll Be There For You is the most comprehensive take on Friends and the ultimate book for fans everywhere.